Home / Other Political News, Politics / JOWIE will hate JACQUE MARIBE for good despite killing MONICA KIMANI together - The only woman you should trust is your mother!! JOWIE will hate JACQUE MARIBE for good despite killing MONICA KIMANI together - The only woman you should trust is your mother!! 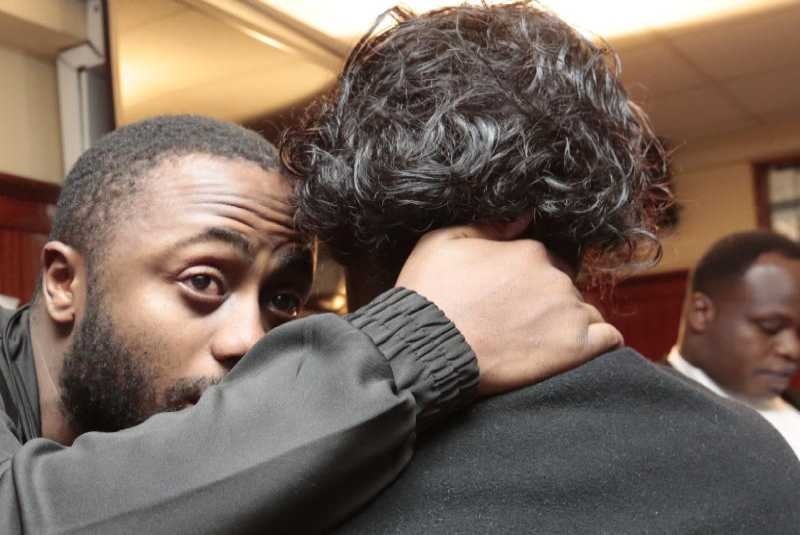 Wednesday February 13, 2019 - Murder suspect, Jacque Maribe, has surprised Kenyans after she deleted all photos of her engagement with her killer lover, Joseph Irungu, who is spending cold nights at Kamiti Maximum Prison for killing Nairobi business lady ,Monica Kimani, in September last year. Maribe and Jowie were engaged in July 2018 in a ceremony serenaded by Nairobi based musician, Jean-Pierre Nimbona, also referred to as Kidum. The two were smiling and even uploaded their photos on Facebook and Instagram vowing to live together till they die. However, in September last year, the young couple was linked to the gory murder of Monica Kimani and they were arrested. Maribe was given a Sh 200,000 cash bail but Jowie is still being held at the Kamiti Maximum Prison after Justice James Wakiaga denied him bail and described him as a woman eater and the male version of a slay queen. Maribe who is out and enjoying life with other men has pulled down every single image of their engagement with Jowie. According to Maribe’s close friends, she pulled down the photos after a popular blogger advised him to do so. "She is now living with him and he advised her to remove the photos of her killer boyfriend on Facebook and Instagram,” said one of Maribe’s friends.